With most of Canada’s wild salmon coming from the coast of British Columbia, the provincial government is taking steps to develop a strategy that will protect and enhance wild stocks. In June 2018 B.C. Premier John Horgan announced the creation of a 14-member Wild Salmon Advisory Council tasked with developing a strategy to protect B.C. salmon. “The threats to fish stocks are many – habitat and ecosystem degradation, poor management, fish farms, climate change – and the majority of B.C.’s salmon runs are in decline,” said Adam Olsen, MLA Saanich North and Gulf Islands. The Wild Salmon Advisory Council brings experts from around the province together to help develop a wild salmon strategy. Co-chairs Doug Routley, MLA for Nanaimo-North Cowichan, and Chief Marilyn Slett of the Heiltsuk First Nation, will lead the council, as it addresses a wide range of issues affecting wild salmon, according to a June 2018 B.C. government press release. 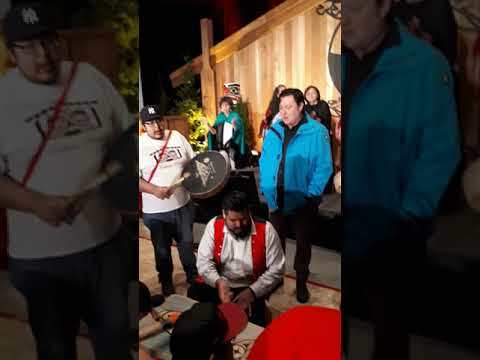 While there is no Nuu-chah-nulth representation on the advisory council, there is plenty of representation from other First Nations including Marilyn Slett and Adam Olsen of Tsartlip First Nation, Ray Harris of Stz’uminus First Nation, Dawn Machin of Okanagan Indian Band and Thomas Alexis of Tl’azt’en Nation. The Wild Salmon Advisory Council worked together over the summer, delivering a report to help B.C. protect and enhance wild salmon. “The report released today details the important role wild salmon play in B.C.’s ecosystem and the economy,” said Lana Popham, Minister of Agriculture. The report provides 14 recommendations that support the health, habitat and management of wild salmon as well as the sustainability of the wild salmon industry in British Columbia. Focusing on three target areas within their mandate, the Wild Salmon Advisory Council delivered several policy options for consideration. Their target areas are salmon restoration and enhancement; salmon stewardship and sustainable management and community economic opportunity. Among their recommendations are protection of critical salmon habitat and restoration of damaged habitat, increased salmon enhancement projects, increase monitoring and enforcement (including considering working with First Nations in this area). Another recommended strategy is to create collaborative structures of governance that recognize Aboriginal rights and respond to Indigenous Peoples’ food society ceremonial fisheries and economic interest with respect to wild salmon management. When it comes to the third goal of providing community economic opportunity the WSAC suggests that encouraging new entrants, such as net generation Indigenous and non-Indigenous youth into the commercial and recreational fishing sectors would be beneficial. “Commercial and recreational fishing activity, and their ancillary services including processing, have long been a cornerstone of many local economies and the multiple impacts from the decline in fishing-related opportunity have been well documented,” says the report. Another suggested strategy is to support increased opportunities for fishery-related tourism. The WSAC points out that the recreational sports fishery provides visitors and residents an opportunity to connect with the natural environment and it contributes close to $1.3 billion of BC’s annual tourism economy. The recommendations will be submitted to the legislative assembly’s Select Standing Committee on Agriculture, Fish, and Food in the coming weeks. The next step for the Wild Salmon Advisory Council is to begin a public consultation process engaging British Columbians in discussion about the recommendations. Their input will help shape a renewed provincial approach to protecting wild salmon.